This is our first milestone of the school year. It will occur on August 13, 2017 during our 10:00 a.m. worship service. This milestone is a way to bless our children and their teachers as they return to school. 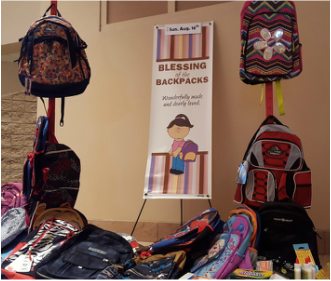 All children and teachers are invited to bring their backpacks to church to receive a blessing on the backpack and themselves. They will also receive a backpack tag to serve as a daily remind them that their church family is praying for the throughout the year. 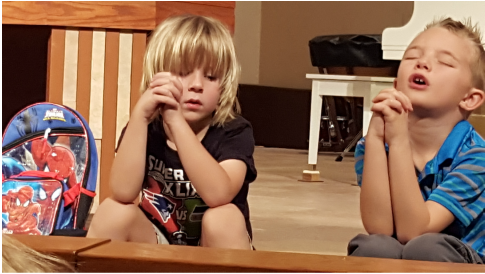 Thank you to all of the children and youth that came to church on Sunday, August 14th, with backpacks in hand! We were so honored to be able to offer blessings on you, your backpack and your new school year! Thank you to the congregation for donating nearly 90 stuffed backpacks for Vista del Camino! We have an amazingly generous church! 8/16/15 UPDATE: Thank to our congregation for donating over four dozen STUFFED backpacks! God's love in action in Scottsdale, AZ!